Managing your organization's members just got a lot easier. With Pino, you can manage memberships with ease, send emails to your members about your organization's important issues and much more. Pino is an open source web app built on Drupal 8. Pino can be easily extended with Drupal modules & PHP libraries. Pino is built by Vaiste Productions and Kristian Polso. The project came to life when we realized that managing our associations' members with a spreadsheet program just wasn't suitable and we needed something better and easier. Ordering includes a 30-day trial, no payment information is required. 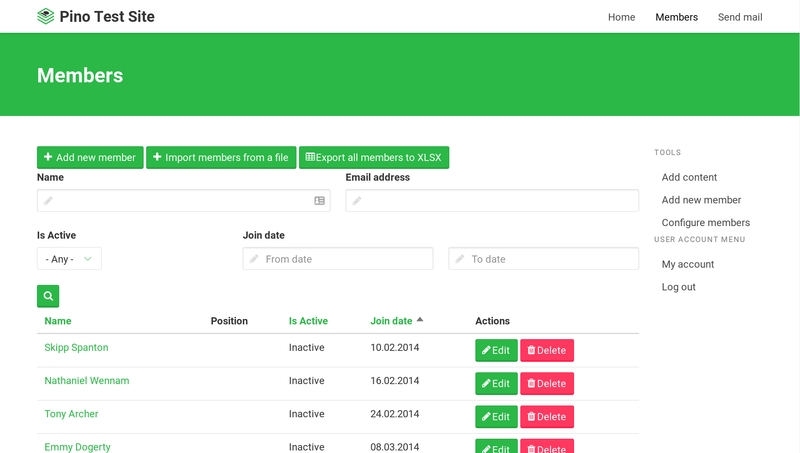 Create, remove and update members, now with revisioning support included. Add custom fields attached to your members (contact details, membership dates, payment information etc). Send mass emails to all members, or filter the receivers by category, activeness and much more! Categorize members with included Position field (for example: Board member, Volunteer, Founder etc). Import and export member data in multiple formats (ODS, XLSX, CSV and more). Being open source and based on popular Drupal project, Pino can be easily extended with additional features. Try before you buy? Ordering includes a 30-day trial, no payment information is required! We also offer a free and self-hosted option of our web app. With this option you can install the Pino software on your web hosting platform of choice and enjoy the full features of Pino. Please read more how to install and use Pino in the Documentation section. 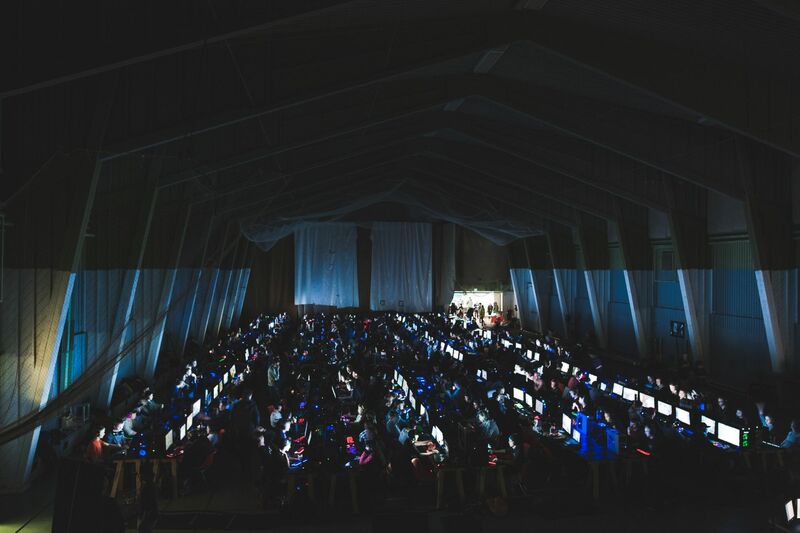 Urbanlan ry is a Finnish association that organizes game events targeted for Finnish youth. With Pino, messaging and managing their members is easier than ever before. Urbanlan uses Pino to manage their association with 50 members. The association messages their board and members using Pino's built-in email messaging system. The board also shares and saves all important documents like board meeting minutes to Pino's document database. Pino is proudly open source, utilizing the strength of Drupal PHP Framework. Pino's license is GNU GPLv2. Due to being based on Drupal, Pino can be extended easily with plethora of Drupal modules and PHP libraries. The full source code of Pino can be found at our Gitlab page. We are committed to providing this open source project for everyone, with focus on accessibility and ease of use! Contributions are also more than welcome on our Gitlab page or Drupal.org page. Copyright © 2019. Logo icons by the Noun Project.